This module developed by Librasoft will let you make a bridge between PrestaShop and your phpBB3 forum. This module developed by Librasoft will let you give the possibility to your customers a "PhpBB" forum with an uniq and automatic authentication from Prestashop. When your customers are connecting to your shop, they are also automaticly connected to your PhpBB forum. Easy to install and full automatic ! 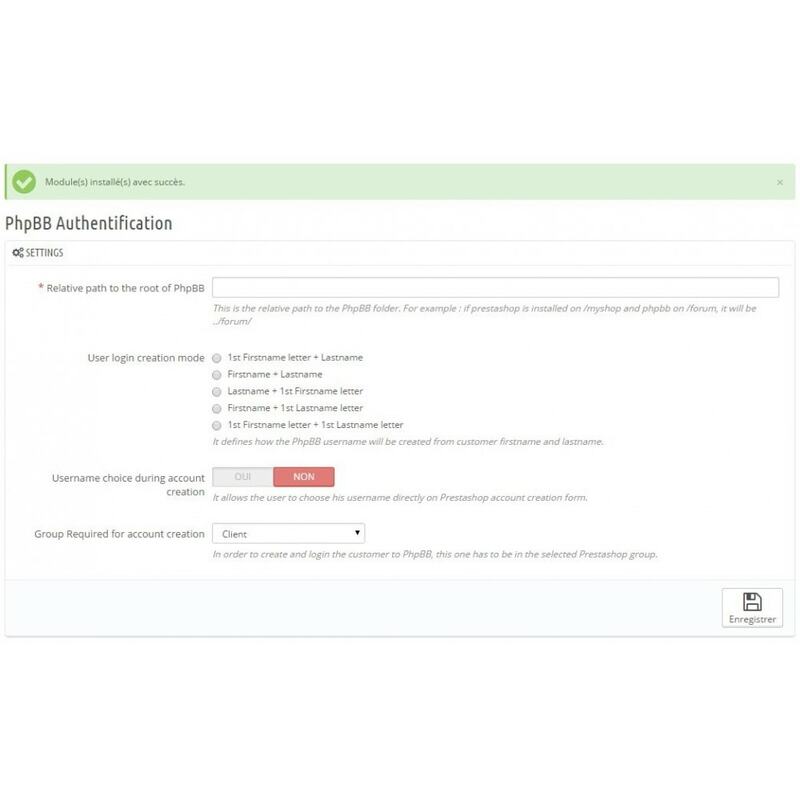 For each login and/or new account on you shop, the same user is created and connected automatically on your phpBB3 Board. For each logout on your shop, the same user is also disconnected from phpBB3. 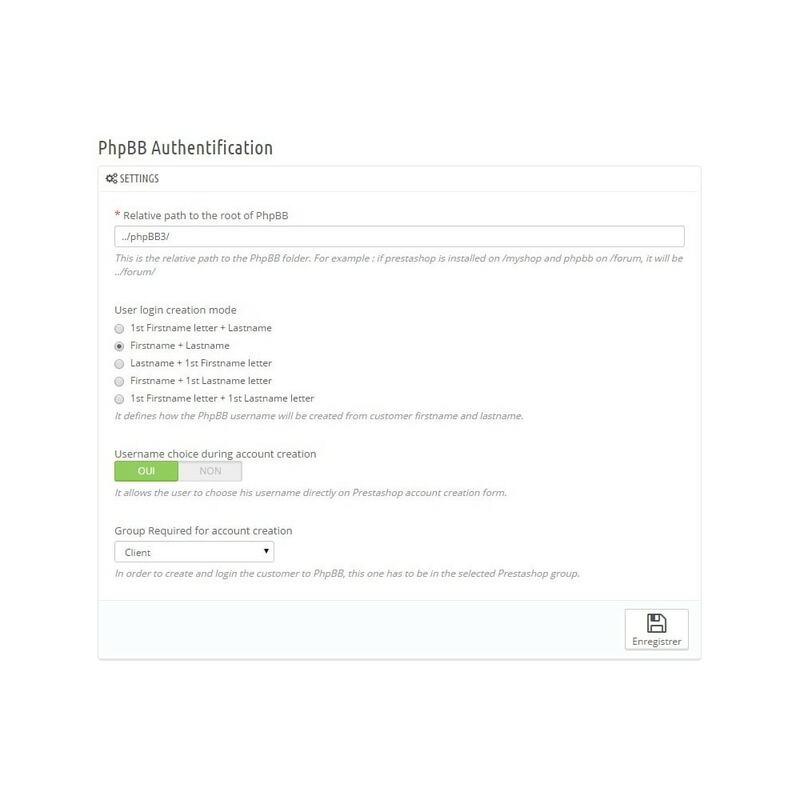 Give the possibility to your customers to choose (or not) their forum username directly on the account creation form of your shop. (By default, the username is created with the firstname and lastname of the customer). Limit the connection to the PhpBB forum to only customers in a specific group of your shop. 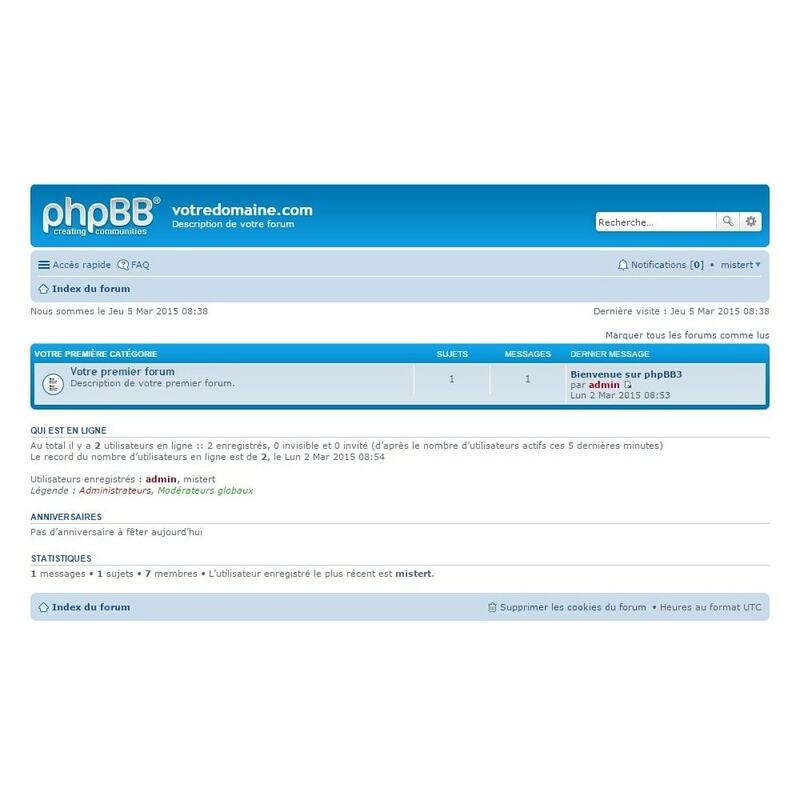 (By default, all connected customer is also connected to the PhpBB forum). It worked really good and let me link the forum to the website. • A full functional installation of Prestashop. • One common subdomain for both installations (Ex : If the shop is installed on the subdomain http://www.monsite.com/, the board has to be also on this. For example, under http://www.monsite.com/forum/. The following installation is NOT compatible : The shop under http://store.monsite.com/ and the board under http://forum.monsite.com/. Choose to activate (or not) each new account on your shop.